Royal Cork Yacht Club, founded in 1720, is supposedly the oldest yacht club in the world. 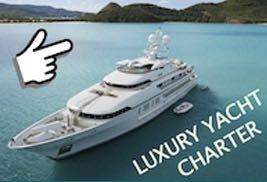 Although Irish love to spend time on the water, their country doesn’t belong to the classic charter beats. It’s just that Ireland is known for its frequent rain – and that’s not something sailing tourists like. But: “Irish rain doesn’t get you wet” implies an Irish proverb. Often it only drizzles and the climate in the most beautiful sailing beat in the Southeast of the green island is mild, the sun often shines in summer. Bays and sounds, green hills with flocks of sheep, cottages with blooming gardens, few tourists and open warm-hearted people who enjoy guests attract visitors. Charter people take over their yachts in Kinsale in Cork County among others. 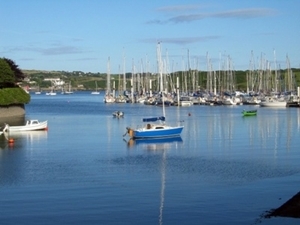 Kinsale was an important naval base in former times, today the town lives off holidaymakers and nautical tourism – and it is known for its many good restaurants and pubs. Fort Charles and Fort James still bear witness of its military past: both guard the entry to the harbour of Kinsale, which lies on the mouth of Bandon River. The sailing waters in the Irish Southwest are also suited for beginners, as long as they are well versed with tidal navigation. The coast is very structured with many bays – you don’t need to cover long distances to get to know land and people.